Germia was a well-connected Byzantine polis in western-central Anatolia, famous for its healing waters and a church of St Michael. 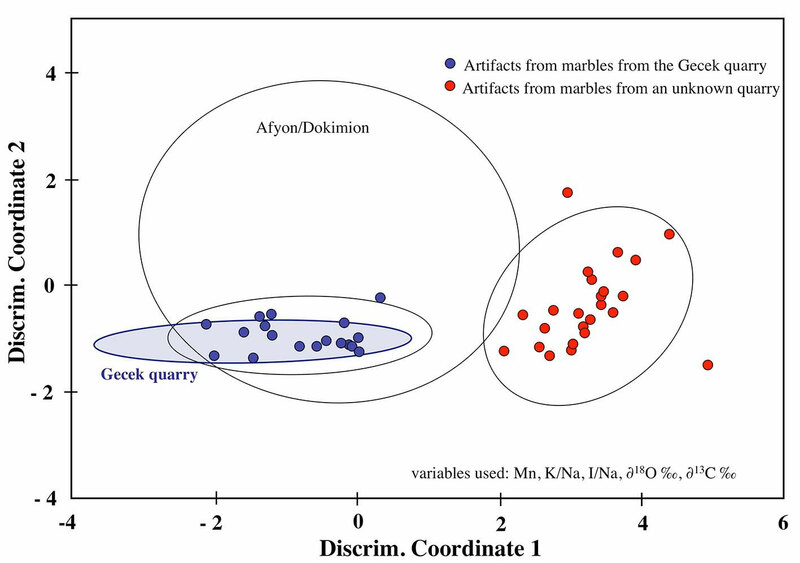 In order to distinguish individual quarries and workshops, a wide spectrum of Roman and early Byzantine marble artefacts was sampled and archaeometrically analyzed. 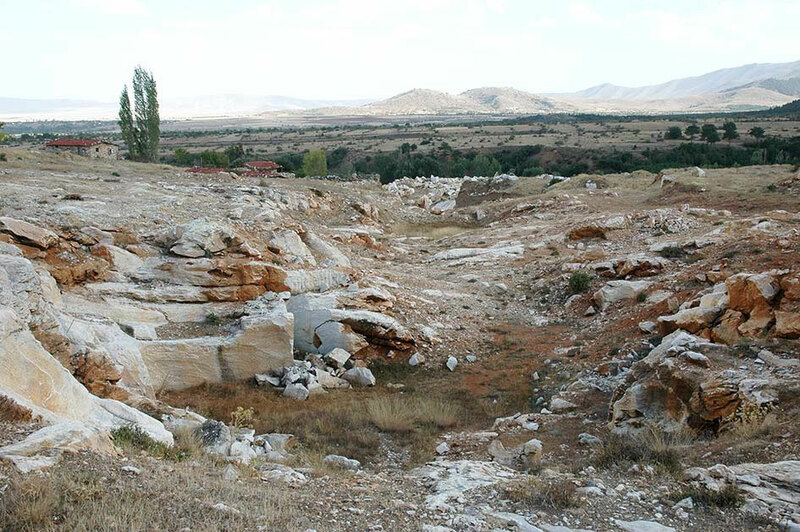 One ancient quarry above Gecek on the eastern slope of the Dindymon mountain range was sampled for comparison with the analytical data from the artefacts. 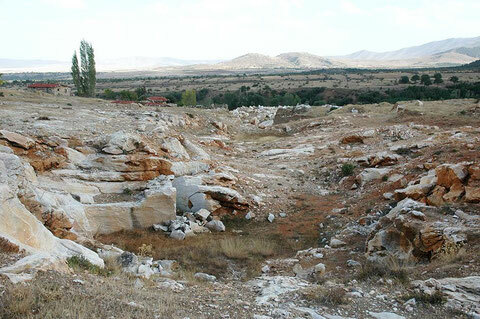 The ancient quarry above the village of Gecek with ancient mining traces and modern cuts. 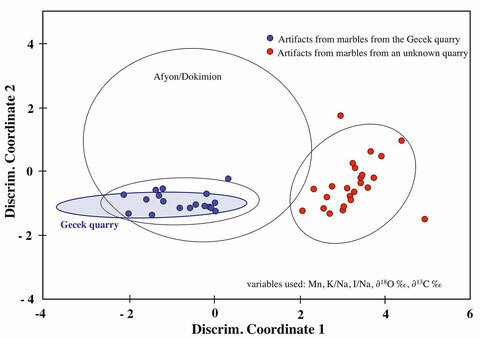 The result is exceptionally clear: All marbles fall into two distinct and well defined groups that must represent two distinct different sources. An import from Prokonnesos is not very probable because of petrographic and chemical reasons. Niewöhner, P., Dikilitaş, G., Erkul, E., Giese, S., Gorecki, J., Prochaska, W., Sarı, D., Stümpel, H., Vardar, A., Waldner, A., Walser, A.,V., Woith, H., 2013: Bronze Age höyüks, Iron Age hilltop forts, Roman poleis and Byzantine pilgrimage in Germia and its vicinity. ‘Connectivity’ and a lack of ‘definite places’ on the central Anatolian high plateau. - Anatolian Studies 01/2013, 63, 97-136.